Repair facilities can be located in individual shops, in a home basement or garage, or in the appliance and department store where the item was originally purchased. A store may contract with another operation to provide service to its customers. The operation may offer pick-up and delivery services to customers. In some cases, repairs are made at the client’s premises. Property exposures depend on the type of item being repaired. Repair services may have some exposures to soldering, electrical wiring and repair of plastic, metal or wood cabinets. Flammables and combustibles need to be properly stored in fireproof cabinets or rooms. Theft can be a concern with attractive theft items such as high end purses and other leather goods. Therefore, alarms, locks, and other security measures should be in place. Crime exposure comes from Employee Dishonesty and Money and Securities, particularly if repair persons collect payment at the time of service. There must be receipt procedures and monitoring to encourage accurate reporting and collection. If there is off-site work, there is also the possibility of employees taking clients’ property. Background checks should be conducted before permitting any employee to visit clients. Inland marine exposures are from Bailees Customers as the operation will have care, custody and control of the goods of customers while being repaired. Customers’ goods can also be exposed to loss if the operation offers pick-up or delivery service. Items should be padded and tied down during transit to prevent damage. Off-site exposures can be high due to the tools, equipment, and supplies carried to and possibly stored at customers’ premises. Occupiers’ liability exposures at the repair shop can be a concern if customers are permitted in the repair area. Premises need to be maintained in a neat, orderly manner with adequate aisle space. If the operation conducts repairs at the customer’s home or place of business, repairpersons should be trained in proper procedures to prevent premises damage such as fire while working on faulty electrical items. If conducting repairs on any items that use gas or emit fumes, all items must be thoroughly tested to be sure that there is no carbon monoxide exposure. Products liability exposure is not usually high. However, use of faulty components or improperly repaired items can cause electrical problems, which could result in fire or other property damage. Employees should be trained in proper repair procedures. Improper work can nullify warranties and make the responsibility for properly working products land back on the repair operation. The products liability exposure will increase if reconditioned or used items are sold. Automobile liability exposure is minor unless the operation offers pick-up and delivery service to its customers or repairs items at the client’s premises. Custom or specially designed equipment may be installed in vehicles. Age, training, experience, and records of the drivers, as well as age, condition, and maintenance of the vehicles, are all important items to consider. If there is any personal use of vehicles allowed, there should be a clear policy provided as far as family use and other permissive use of the vehicle. 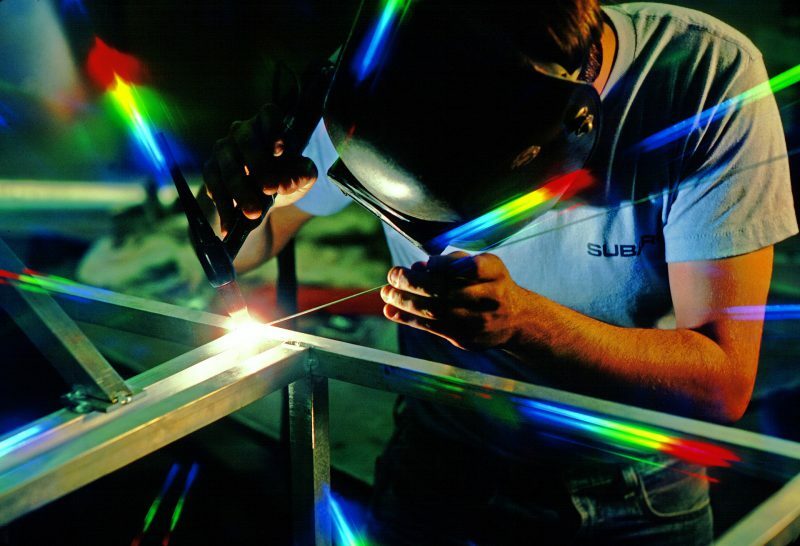 Workplace safety exposures are from electrical shock, eye fatigue, repetitive motion injuries, and from burns and splashes during soldering operations. Back, hernia, and other lifting injuries may occur if the repairperson moves heavy items. Off-premises injuries can result from repairpersons travelling to customers’ premises.